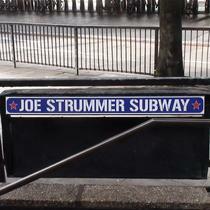 There is one of these signs at each entrance to this subway, where Strummer used to busk. The subway itself contains an ex-shop which McHarg has been running as an art gallery for a few years. McHarg designed and installed the signs. 2018: Londonist have photoed another of these signs, in a dreadful condition. TfL, Westminster, whoever's responsibility it is - pull your socks up. 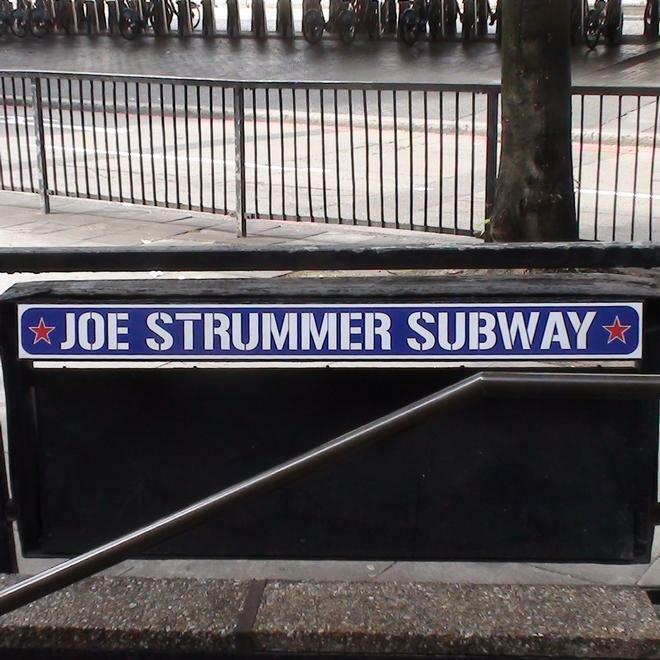 February 2011 and Westminster Council are considering closing the subway. July 2017: Thanks Richard Ruth for reporting that it's still there. Opened the Subway Gallery in 2006.